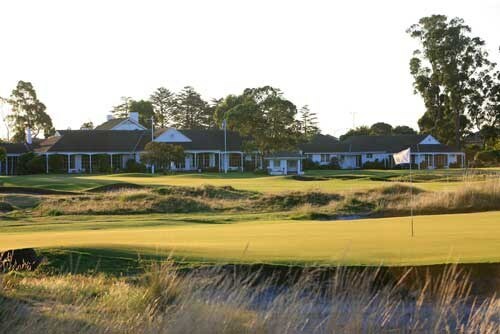 Our 13 day Australia and New Zealand sampler will give you a taste of some of the great golf courses of these two countries and have you wanting to come back and play more (and believe you me we can offer you plenty of additional golf experiences for next time). 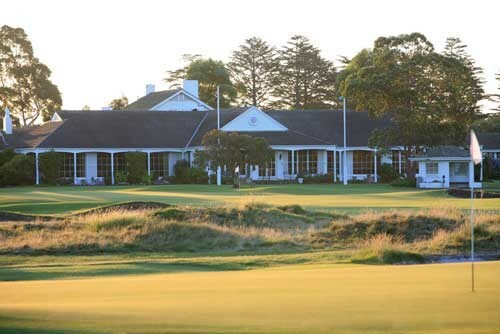 The itinerary starts in the Olympic city where you play the best course in Sydney - the spectacular NSW Golf Club located at La Perouse. 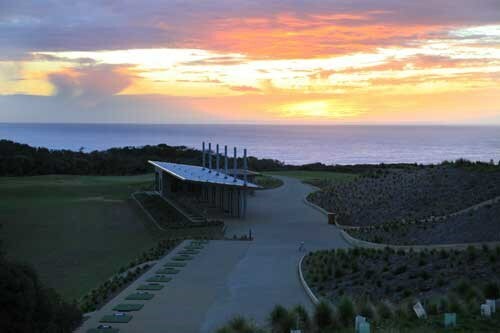 From here you head to Melbourne and an veritable feast of wonderful golf. 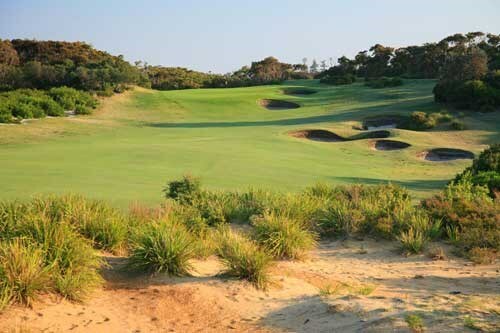 Over the next six days you will play three of the famed Melbourne Sandbelt courses and then head down to the golf rich Mornington Peninsula where you will experience another two highly regarded courses. 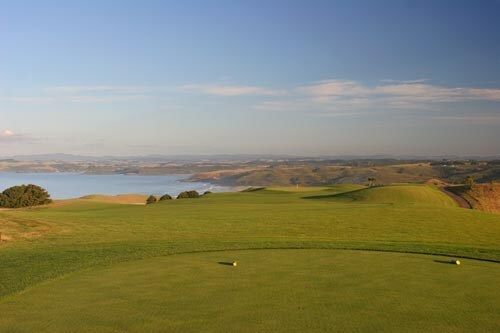 From here you cross the Tasman and over to New Zealand where some truly spectacular cliff top courses - Kauri Cliffs and Cape Kidnappers awaits you. And at the end of this you have to head home where no doubt planning will have already begun for your next trip "Down Under". Arrive in Sydney and spend part of day sightseeing. 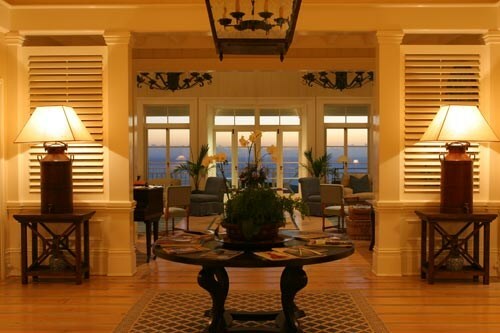 The Westin Sydney is an award winning, five star hotel set in the heart of Sydney's CBD. Part of the redevelopment of Sydney's historic General Post Office on Martin Place, this luxurious hotel is surrounded by Sydney's most exclusive designer shopping, best restaurants, theatres and nightlife, and is close to attractions like Darling Harbor, Sydney Opera House and the Harbour Bridge. 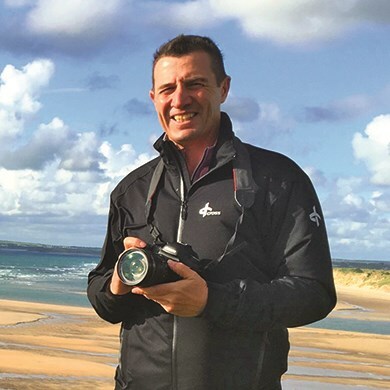 Fly from Melbourne to Sydney in the morning. No golf planned. Sightseeing option. 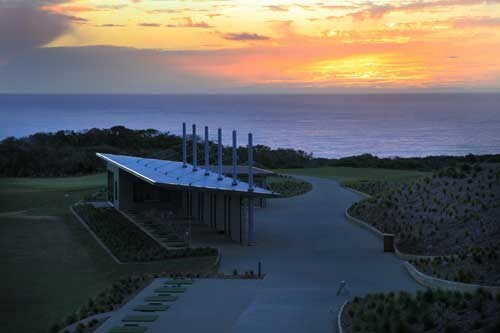 Located on Victoria's Mornington Peninsula, Peppers Moonah Links Resort is one of Australia's most unique leisure resorts, featuring luxury accommodation, two 18 hole championship golf courses and an endota spa. 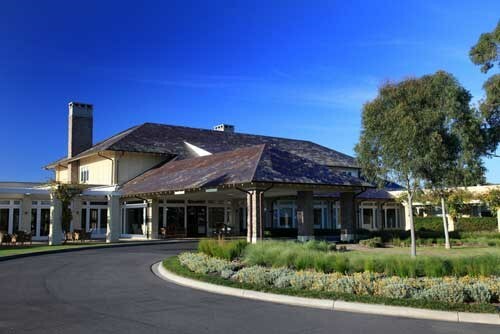 Harvest Lodge is ideally located 4.5 star accommodation in the upmarket village of Havelock North near Hastings - in the heart of Hawkes Bay Wine Country. 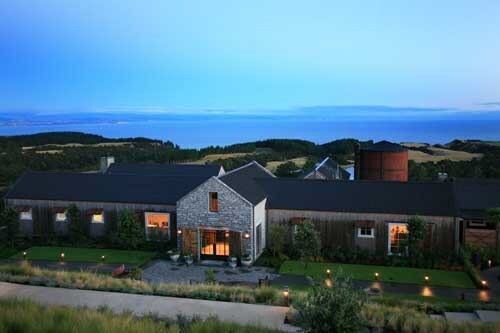 Its close proximity to Cape Kidnappers Golf Course makes it the ideal base for golfers visiting the region. 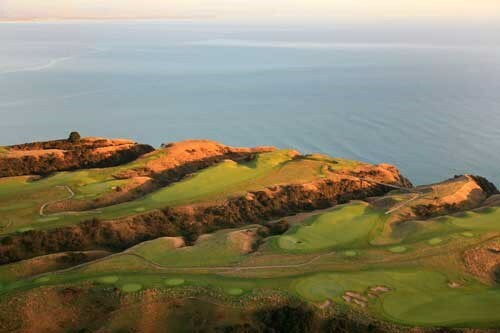 Cape Kidnappers is a Tom Doak designed golf course which is amongst the world's most spectacular courses. 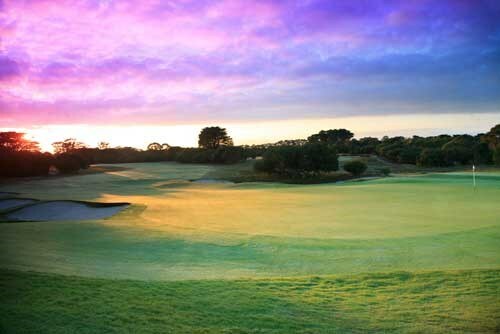 The clever use of the layout is best seen from the air where Doak has used the natural landscape to craft some magnificent, memorable, and challenging golf holes. 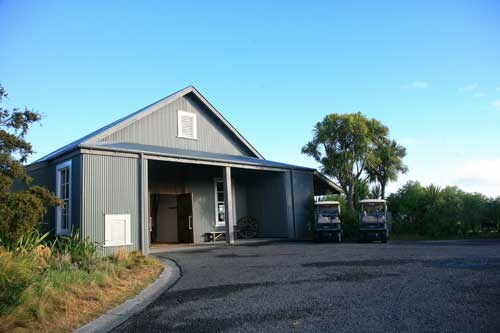 However, the Cape Kidnappers experience starts from the moment you drive in the entrance gate. 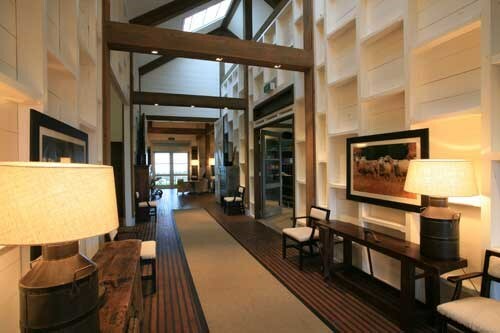 What follows is a 10-kilometer drive (yes that is correct) leading you up to the shearing shed designed clubhouse. The long drive helps to build the anticipation of the day ahead as one passes through a pine plantation, a working cattle farm where sheep abound, across streams and along roads cut out from sheer faced cliffs. 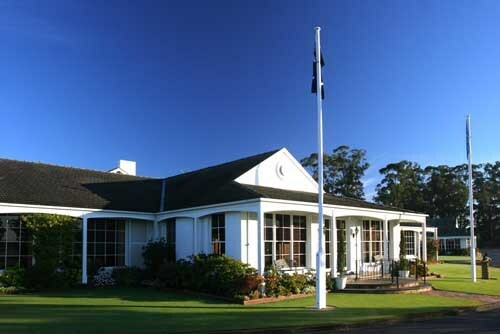 Kauri Cliffs consists of eleven outlying guest cottages, each with two guest suites providing twenty-two accommodation units at Kauri Cliffs. 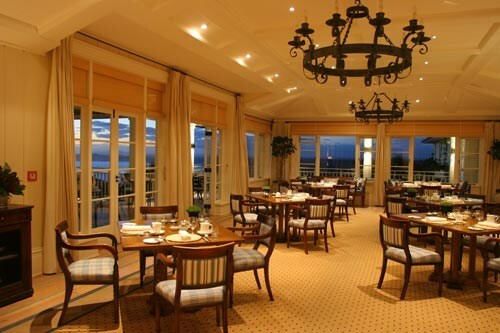 Kauri Cliffs is one of those surreal golf experiences that avid golfers should experience at least once in their lifetime. 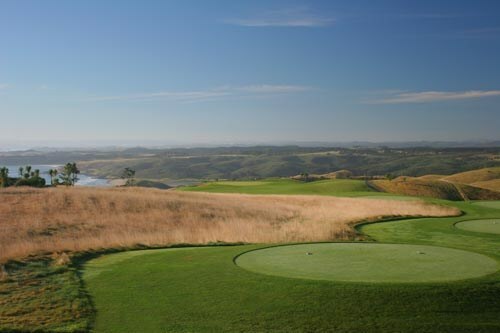 Fifteen holes view the Pacific Ocean, six of which are played alongside cliffs which plunge to the sea. The beautiful inland holes wind through marsh, forest and farmland. 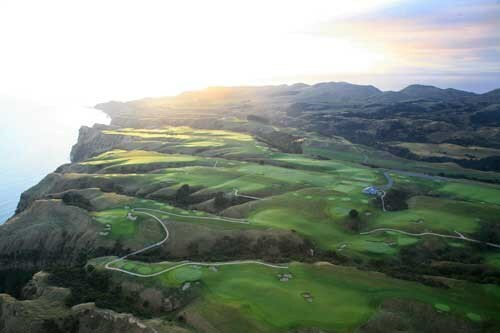 Cape Kidnappers is a Tom Doak designed golf course which is amongst the world's most spectacular courses. 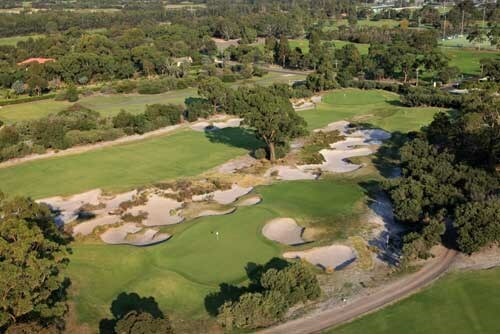 The clever use of the layout is best seen from the air where Doak has used God created "fingers" of land to craft some memorable (and challenging) golf holes. 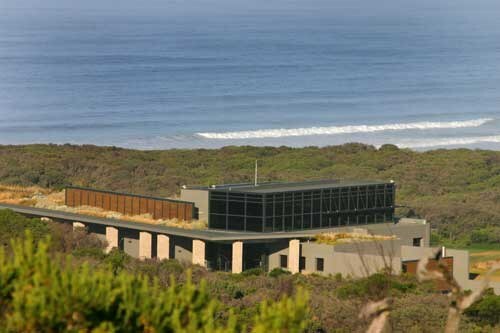 However the Cape Kidnappers experience starts from the moment you drive in the entrance gate. 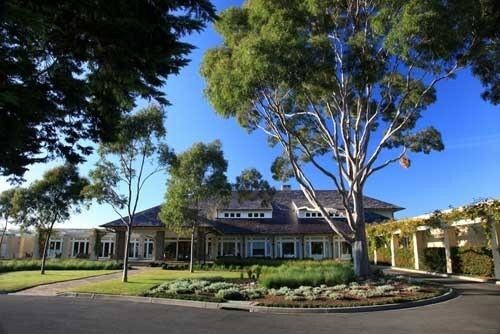 What follows is a 10 kilometre drive (yes that is correct) leading you up to the shearing shed designed clubhouse. The long drive helps to build the anticipation of the day ahead as one passes through a pine plantation, a working cattle farm where sheep abound, across streams and along roads cut out from sheer faced cliffs. 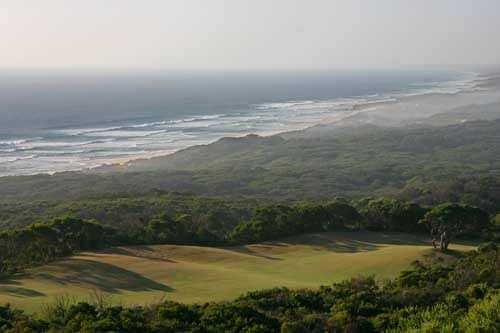 Once you do arrive and mange to collect your thoughts you are faced with a golf course combining a series of clever, inland holes and the memorable cliff top holes. 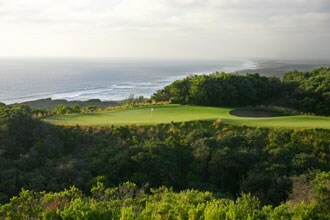 One such clifftop hole is the 15th hole, known as the Pirates Plank. From the tee shot to the green the fairway becomes progressively narrower until you reach the green where it is barely 20 metres across. And on one side lies a sheer faced cliff plunging downward into the Pacific Ocean. 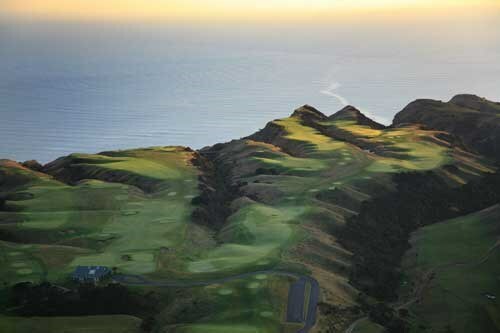 Wind is an everpresent factor at Cape Kidnappers and is enjoyed not by golfer but by the very populous gannet bird colony which seem to float and "windsurf" above the clifftop holes for what seems to be an eternity. 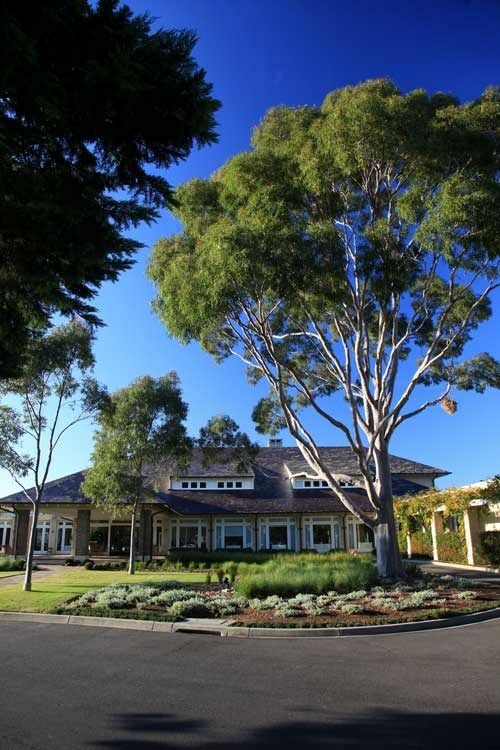 Meticulous attention to detail in the golf course conditioning and five star service in the clubhouse ensure a golfing experience of a lifetime. 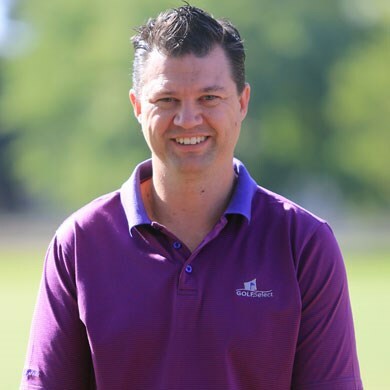 And what better way to end a piece on "Kidnappers" than to refer to some comments from the designer Tom Doak - "Our goal in designing golf courses is to create interesting holes you wouldn't find anywhere else. 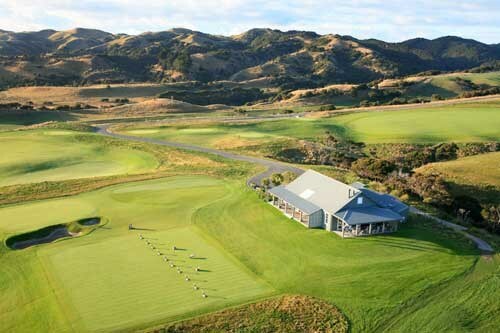 That wasn't hard to do at Cape Kidnappers, because the site is not like anywhere else in golf. If it were any bigger or any more dramatic, it would probably be cordoned off as a national park. 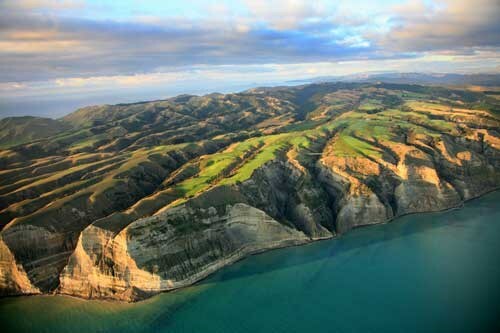 It's an overwhelming experience to stand up on the cliffs, 140 meters above sea level, and look out across the waves far below in Hawke's Bay. 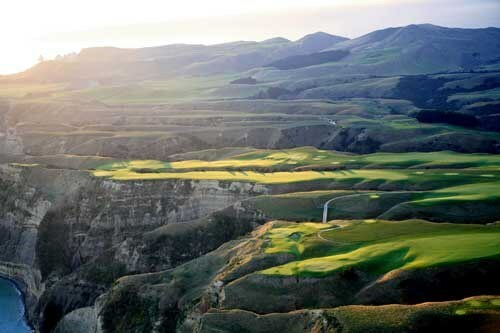 Cape Kidnappers is not true links terrain, with the wrinkles of sand dunes; instead the land tilts toward the sea as a series of ridges jutting out toward the edge of the cliffs. 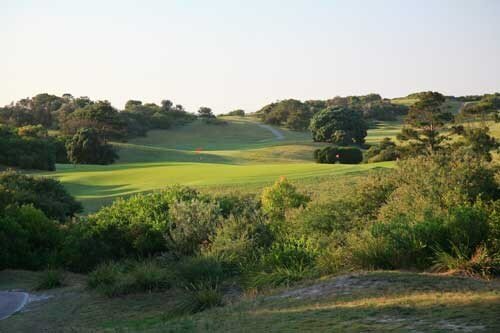 Yet, the play is seaside golf at its finest. The surface is firm and fast, the conditions can be windy, and the player who can control his trajectory will be master of the course. 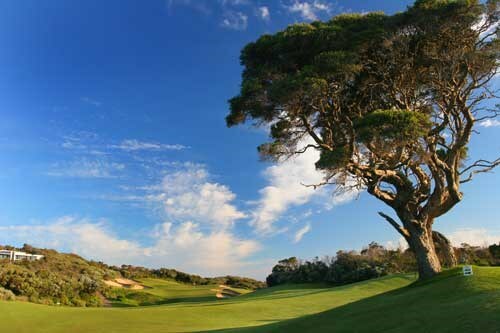 You'll hit shots over the tops of the tea trees, and play along the edges of deep ravines. 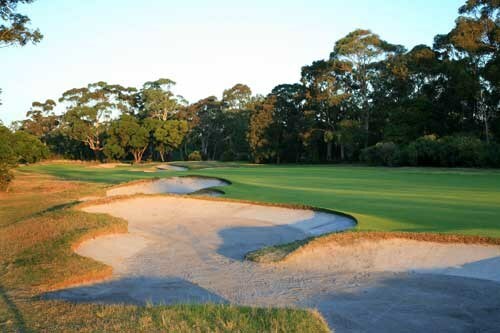 If you stray on your approaches, you'll actually hope to get caught up in bunkers hanging off the green's edge, some of them deeper than you've ever seen before". A difficult opening hole is a prelude of things to come. 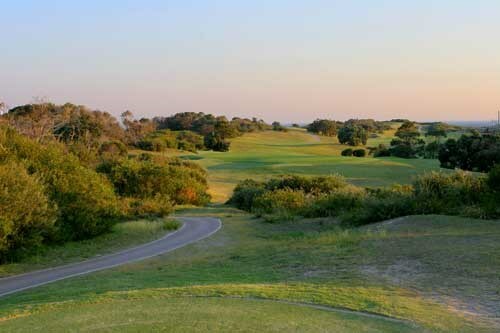 The right half of the fairway offers a better angle into the green, but don't try to cut the corner of the dogleg where a deep gully lies in wait. Short hitters must beware the gully on their second shots, but once over it, there is plenty of room to the right of the flag. 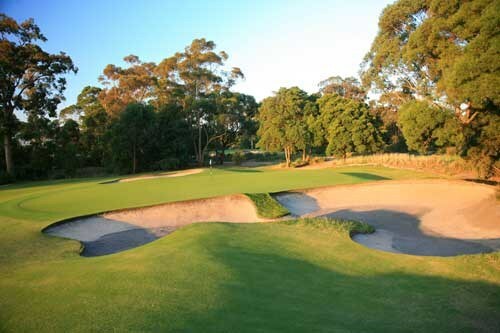 You must avoid two sets of fairway bunkers here, or you won't reach this green in regulation. Play the drive safely to the left, and lay up short of the cross bunkers if you're not sure you can carry them with your second shot. The green is open on the left, but it tilts sharply to the right so it's difficult to get down in two from the left edge. 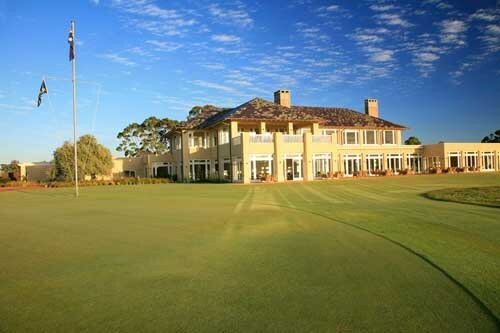 The green is partially hidden by the front bunkers, but it's one of the largest on the course. Aim fifteen feet to the right of the hole to take the left side out of play. Pay extra attention in reading this green as there are a lot of small breaks. A solid tee shot just inside the fairway bunker sets you up for a big decision with the second. 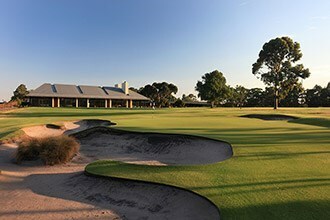 The safe play is to lay up just short of the deep fairway bunker, but better players will be tempted to aim out to the left of the green and fade the ball home. 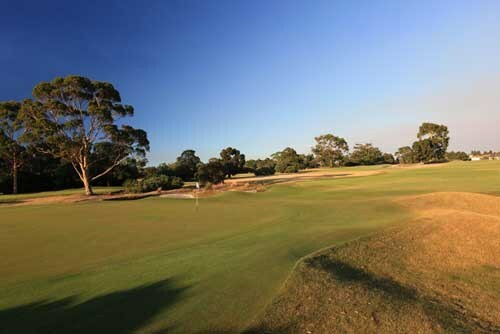 The green has a high tier in the back, play your approach long and left to give yourself the easiest two-putt. 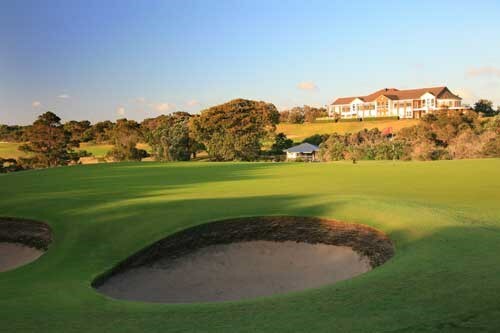 A huge fairway is divided by two deep fairway bunkers. Most players are better off aiming down the right side, but long hitters might choose to go left so they don't run out of room. Going for a flag on the left side of this green requires a great deal of nerve. 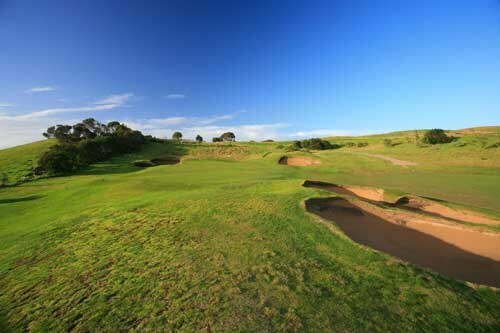 An epic par-3 across a deep gully. Miss to the left and you can kiss your ball goodbye, but the green does bank sharply from right to left to steer balls back toward the hole -- if you can reach the green, that is! An important tee shot, because a strong drive will carry the crest of the fairway and leave a considerably shorter approach; aim to the right center of this fairway. The downhill second shot is one of the most exhilirating on the course, but the green is a narrow target from the top of the hill. This short hole plays over a gully filled with ti trees. It's all carry to the green, and uphill to boot, so take an extra club (or even two). There is some hidden fairway to the right of the green, which is the only safe place to miss. 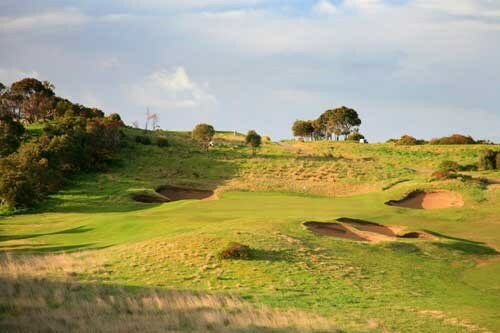 Always take the high road here; from the forward tees it's better to hit a 3-wood or iron to keep your ball in view. 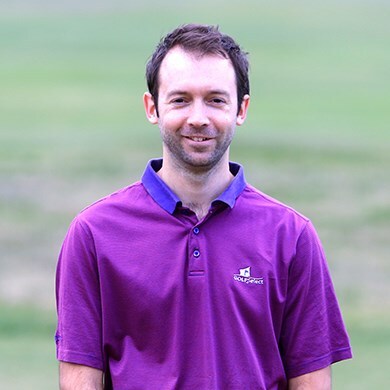 Take dead aim for the center of the green on your approach; there is a bit of fairway short and right, but the contours of the green make it very difficult to save par from there. Another critical tee shot, which should favor the right half of the fairway. The second shot sets up for a running approach which will feed to the hole from right to left, but you have to get the weight just right, as bunkers lurk short left and over the back. 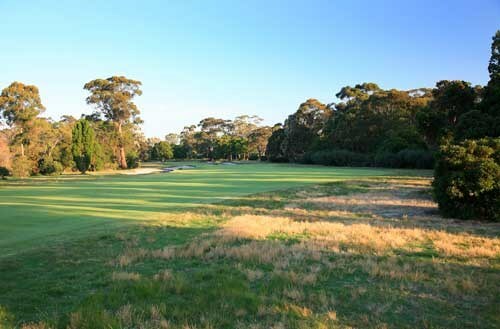 A difficult par-3 which plays longer than it looks. The green is sharply tilted from back to front, so the front hole locations are the toughest -- it's a much wider target in the back. This is the most wide-open driving hole on the course, and a great place to let it rip, because you want the shortest second shot you can get. 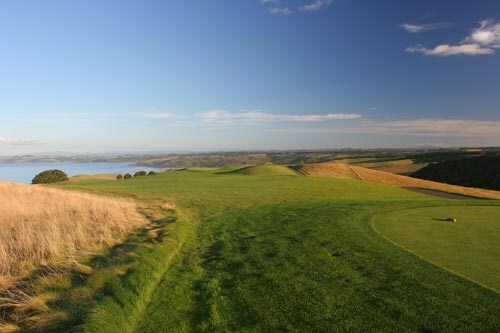 The green is set at the end of a narrow ridge, profiled against Hawke's Bay. Play for the front right quadrant to keep the left side out of play. The shortest hole on the course, but big numbers lurk all around this green, which is easy to reach but hard to stay on. Always play for the back right quadrant, since seemingly good shots can run off the front left of the green into the bunkers below. The shortest par-4 on the course is quite possibly the hardest of them all. The green is dominated by a deep pot bunker at the left front and a steep drop at the back, so the safest play is to the far left. 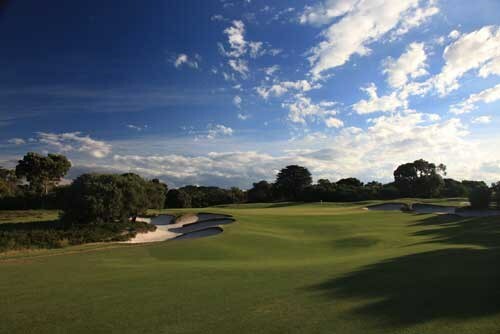 Be especially careful around this green, as the pot bunker has a gravitational pull far greater than its size. 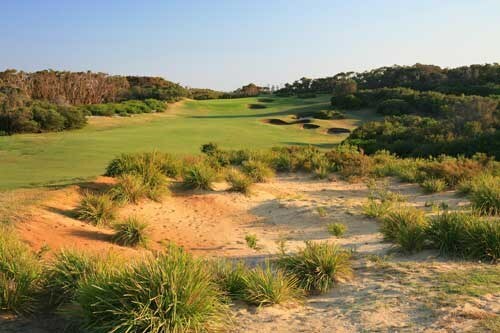 The key to a long par five is staying in the short grass, especially when there is a 140-metre cliff on the left and a 20-metre drop on the right. Don't even go look over the left edge of the fairway if you are afraid of heights. Four short and straight shots will win the hole more often than not. 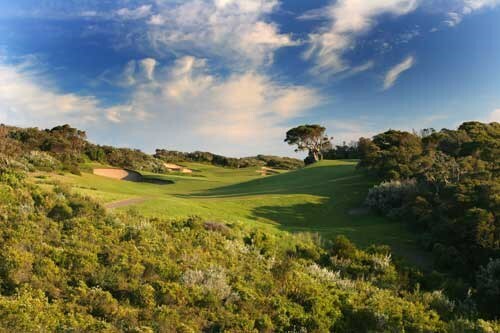 The tee, guarded by seagulls, is the only place on the course with a view to Black Reef. If you're not a candidate to reach this green in two, it's better to lay back to the widest part of the fairway from the tee, then stay right with your second for the best view of the green. No laying back here: you'll need to hit your two best shots to get home in regulation on this uphill par four. 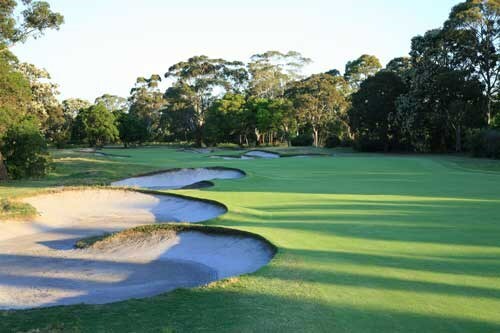 Those uncertain of carrying the greenside bunkers can play safely to the right; if you drive in the rough it might be better to play straight ahead on the second and then pitch your third over the bunkers. 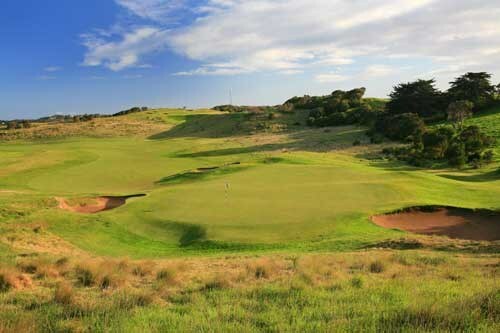 A counter-intuitive finishing hole, with its green offset to the right of the fairway. The punchbowl green setting will lure many players into aiming left for safety and hoping for a lucky bounce down onto the green. 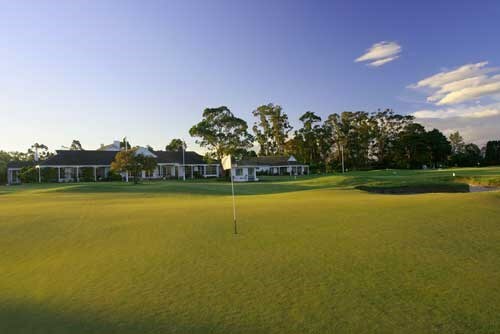 Be careful on this green, as putts from behind the hole can easily get away from you. 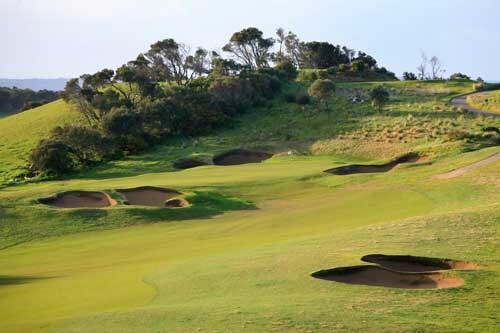 Kauri Cliffs is one of those surreal golf experiences that avid golfers should experience at least once in their lifetime. 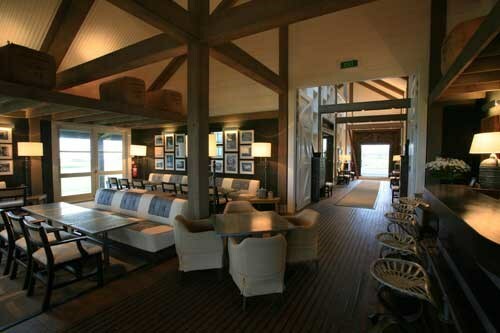 From the moment you drive into the property and head down towards the onsite accommodation at The Lodge at Kauri Cliffs you feel as though you are the only person on the planet. 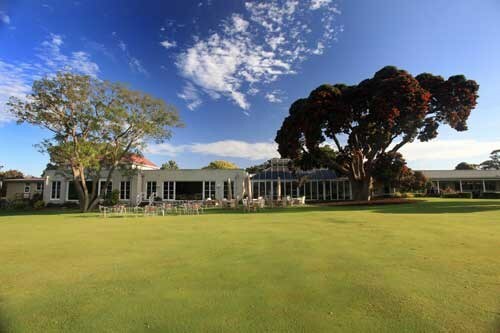 Kauri Cliffs is located four and a half hours north of Auckland in the Bay of Islands region and its absolute ocean frontage ensures uninterrupted views on many of the golf holes as well as from the Lodge itself. 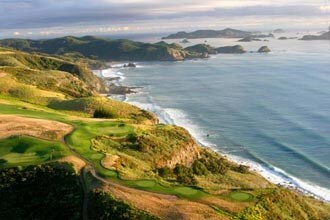 In fact fifteen holes view the Pacific Ocean, six of which are played alongside cliffs, which plunge into the sea. 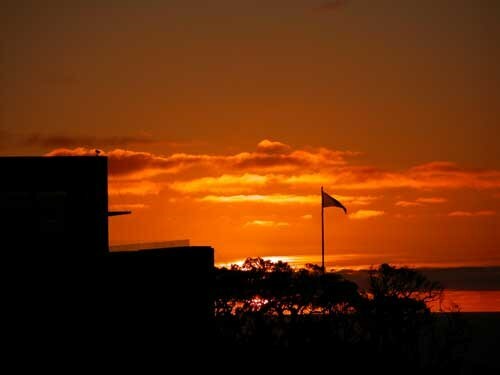 These spectacular views can help to ease the pain of a bad golf round and you should arm yourself with a camera as countless opportunities arise for memorable photos during the round. 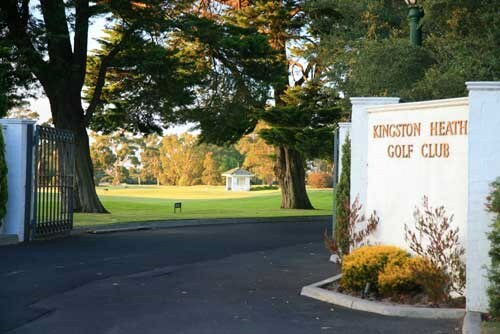 So what about the golf course itself? Well aside from the fifteen Pacific Ocean holes there are 3 beautiful inland holes which wind their way through marsh, forest, and farmland. 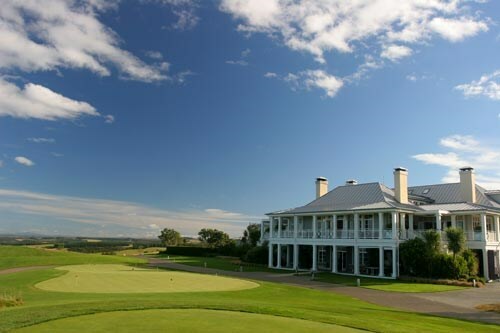 The eighteen holes combine to form an interesting, enjoyable and sometimes challenging test of golf. 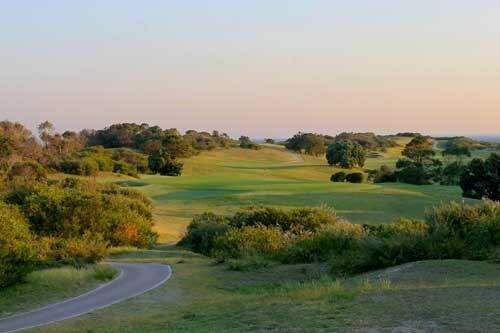 The four sets of tees allow the golfer to choose how much fun they would like to have during the round. 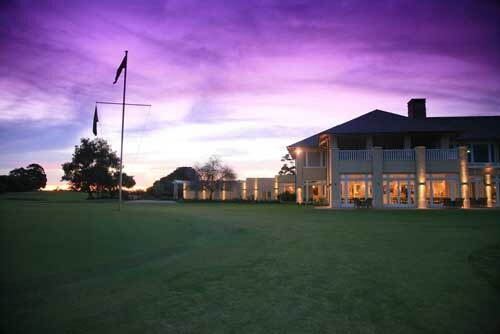 Kauri Cliffs is a very playable golf course which can be enjoyed by all standard of golfers. 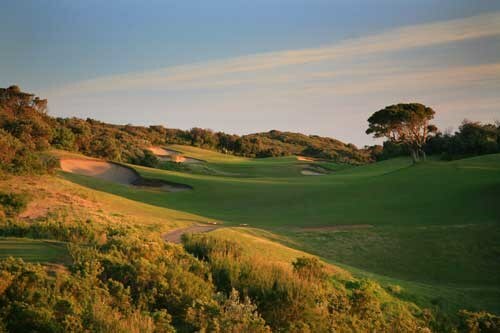 Kauri Cliffs was also awarded Best New International Golf Course 2001 by Golf Digest and recently selected 58th Best Golf Course in the World by the accepted authority, US Golf Magazine. 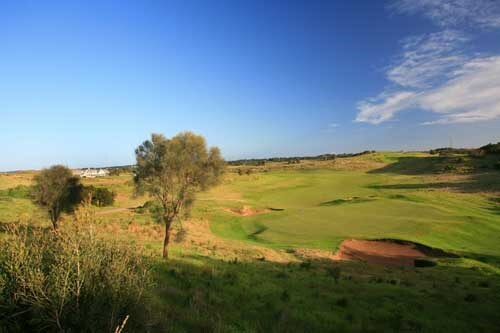 A straight away par 4. A tee shot left centre of fairway gives the best approach into the green. Be aware of the bunker and sever drop off on the left side of the green. The rough on the left angles sharply inward. 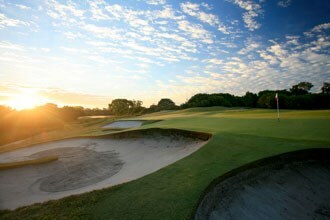 A good drive should be hit just inside the bunkers on the right. Be cautious of the severe drop-offs to the left and back of the green. 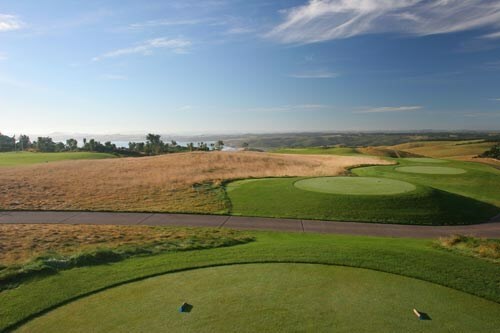 A great "little" golf hole with a wide open fairway. 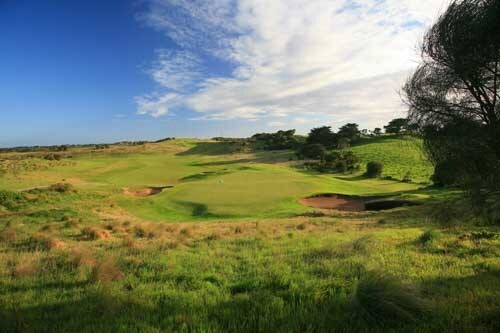 The challenge on this hole is the short second shot to a well guarded, undulating green. 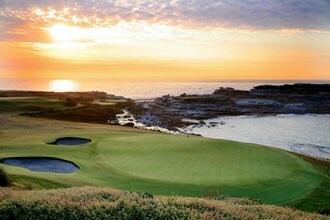 One of the great par 5's in golf. Aim tee shot inside left hand bunkers. Longer hitters will have the option of going for the green in two. Laying up, be aware of the narrowing landing area and hazard on the right. Less adventurous golfers should aim at the small fairway on the left hand side of the green. Consider an extra club, as you cannot afford to be short. 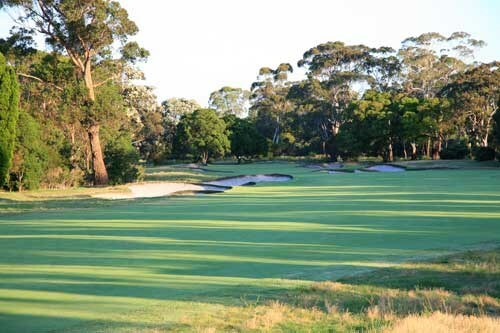 A tee shot aimed to the left centre of the fairway leaves the best approach to the green. 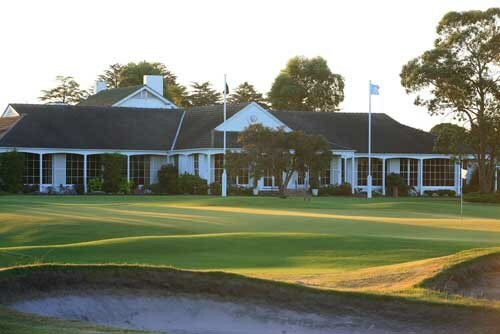 The green is elevated and very deep; so take this into consideration when selecting a club. 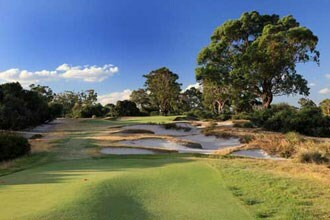 Club selection is crucial on this demanding par 3. Don't let the views distract you. Aim your tee shot to the left centre of the fairway. 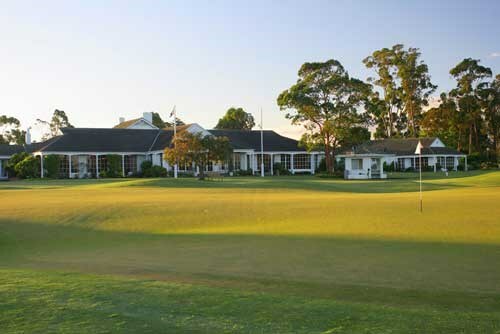 A very long, narrow green greets you, fiercely protected by bunkers on the left. 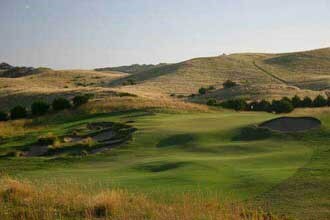 A severely uphill par 4 completes the front nine. Don't let the gully "bully" you, for a good tee-shot will easily carry. The tendency is to under club the second shot. This is a deep green where an extra club won't hurt. Aim tee-shot right centre of the fairway. Be aware of the hazard on the left of the fairway, which wraps around the back edge of the green. Aim tee-shot right centre of sloping fairway. 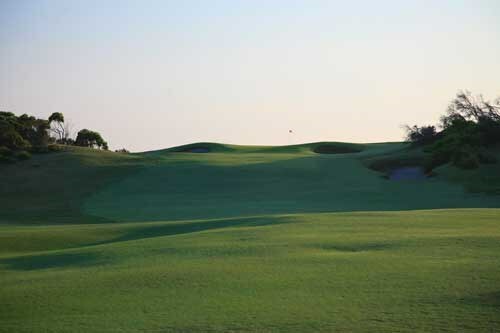 A precise approach shot is necessary to this well guarded "island like" green. Shorter hitters should lay up short of the marsh. Anything short or left spells trouble on this wide, shallow, two tiered green. 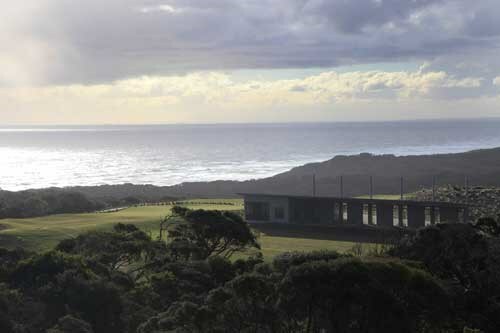 Aim your tee-shot right of the Totara trees in the far distance. This landing area will provide you with a good look at the well bunkered green. 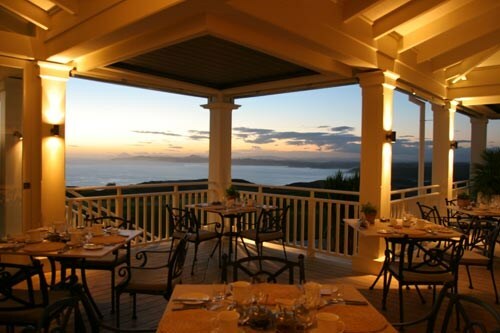 This long downhill par 3 overlooks the Cavalli Islands. 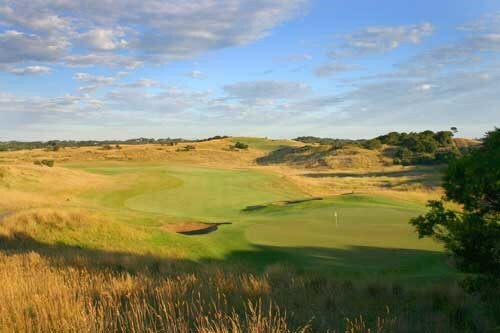 The green is protected by deep bunkers on the right and a severe drop off on the left. 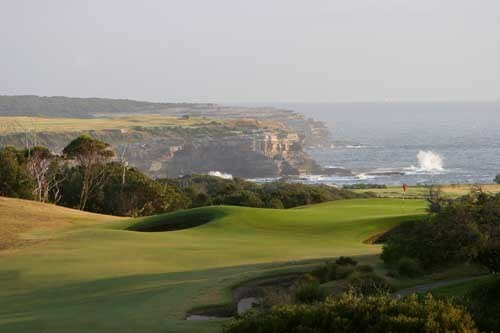 The cliffs on the left and narrow fairway demand an accurate tee-shot. Longer hitters can reach this green in two. 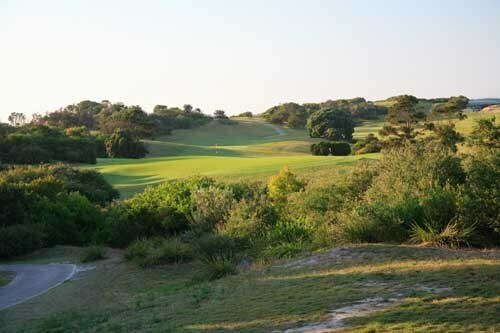 A tee-shot on the right hand side of the fairway leaves a short downhill approach. Very long hitters may risk the hazards and drive the green. On the tee, don't bite off more than you can chew. The large deep green will readily receive a long iron or wood. Drives to the left spell trouble here. 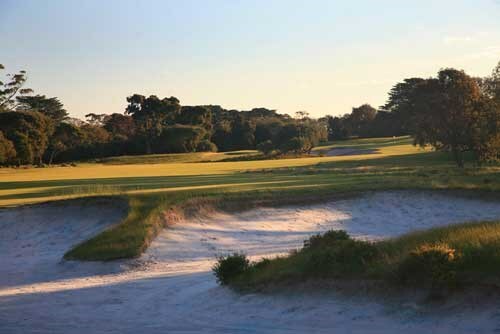 Continue to favour the right side of the fairway but be mindful of the bunker 110 meters out. 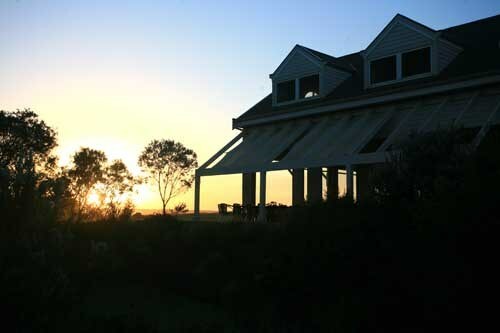 Mangapapa Petit Hotel was originally built in 1885 and is regarded as one of Hawke Bays most prestigious properties. 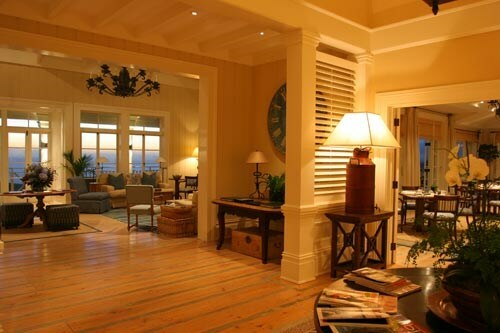 Located on 20 acres of lush, manicured gardens, the homestead has recently undergone an extensive refurbishment bringing more modern and luxurious facilities to the hotel.